The platform experience is very intuitive and easy to learn for newcomers to the platform. Many of the features are easily added or removed from campaigns by simple drag and drop functionality, making the set up of campaigns really easy and fast. The reporting suite is good, and touches upon all the main relevant KPIs, as well as offering the option to create company and campaign specific reportings. some of the reporting features are yet to be updated, and picking specific items for reporting purposes can be dififcult, and it is not as easy to navigate. I think the best part about this platform is the freedom you get to create and manage your campaigns. Our agency uses a few different DSPs and I've found that dataxu allows for the most flexibility. Even if there's something that could be improved, dataxu is great about receiving and acting on feedback from their customers. They're always working to improve their platform and sincerely appreciate hearing what we have to say. There do seem to be quite a few bugs and errors that occur randomly that make it difficult to work seamlessly at times. For example, when we assign multiple creative right in a row, the platform doesn't recognize it and will only select one. Therefore, you have to wait until it fully applies to the flight and then continue on. This proves to be difficult when we have numerous campaigns and flights that we need to adjust. We currently use dataxu primarily for brand awareness for our clients. The majority of our clients are within the automotive space, and we've been able to show an immense amount of impressions for highly effective CPMs. "Reliable and progressive tool that has benefited our agency tremendously"
I love using Dataxu not only for the terrific results it yields for our clients but also because of how transparent the company is and how intuitive it is to operate. I have learned so much from our CSM and other dataxu team members in recent months and at the customer development workshop. One year ago I was completely new to the tool and with their help I am on my way to becoming certified in the tool. They take our suggestions and trouble spots and return with real solutions to improve our campaigns and user experience. If I had to pick something to dislike about the tool it would be that assigning creative and deals takes some time to load. This tool is one stop shop for your programmatic needs and always improving. We have realized that we are able to lower our CPMs significantly by utilizing the bid price diagnostics report and cruise control on all of our campaigns. "A mostly easy-to-use platform with some reporting issues"
Making optimizations in the platform is fairly easy and the setup, particularly with the new campaign workflow, is intuitive and easy to do in bulk. The workflows have recently been much improved, however there are still some areas like the audience builder and the pixel creator that are dated and more cumbersome to complete. Also, the reporting availability is very disappointing in terms of the historical data that we can access. If we have run a campaign in the platform, we should be able to access that data indefinitely so that all people who work on the account can access it and have that historical information in case a data point needs to be pulled that wasn't at the time of the campaign. Even if it was just 24 months, it would be helpful to be able to pull YoY comparisons. We've primarily used the platform as a programmatic DSP to serve banners and video and the team has been really helpful in determining the right audiences to target that needed to be permissioned to reach a specific retailer's audience. Control! Gives me complete ability to manage my clients campaigns. Gone are the days of waiting for some third party representative to respond to my questions or concerns! From a partner perspective, some of the things I am happiest about are the Fraud Free Guarantee, ability to volley between safety levels depending on the client needs, my Account Managers (specifically Nicole, Caitlin and Griffin) and the ease of using the platform. The only item I could possible point a negative at is the lack of opportunity to create a custom audience segment and then universally use that segment i.e. for other advertisers or campaigns. Presently you have to create a segment which lives underneath the advertiser. Would be great to be able to save universally and then apply to advertiser level. Lack of transparency in our industry! This platform provides data that I can share with clients in real time which allow us to make more informed and strategic decisions about our campaign deliverables. "Great platform with excellent customer support"
Our CSM is very helpful and responsive. She is quick to help us solve problems and supports us in any way she can. The new interface is much more intuitive than the old one. Adding creatives to flights is much easier and faster. The algorithm selector is very helpful as well as the system keeping track of budgets when it comes to adding flights to a media plan. Geo-targeting/geo-hashing can be off base. We've run into many situations where we upload a geo-target and once we go back in to double-check it, it is in a completely different area. I'm also not very fond of having to jump back and forth between screens when adding in targeting/uploading zip codes etc. We also had a lot of issues in setting up audio PMPs at the beginning of the year. Providing high quality inventory at a lower cost for our clients, dxu is at the forefront of many technologies including taking large steps to better the video and CTV offering. We've recently started using keyword targeting though grape shot and add this which have both been awesome tools to use. I love the audiences scaling abilities with OneView offers as well as our ability to gain more margin compared to other DSPs. It seems like a lot of menus require you to select the Advertiser twice, for example when creating a campaign, you first select which advertiser you want to make it in, then the existing campaigns appear, then you have to click create new campaign, and in that window you have to select the advertiser again. We have a much higher success rate at targeting confined geos, for events, or political offices. "Easy, Reliable and Trustful Platform"
Dataxu is really easy to use, with no complicated set up and very user friendly. With the huge media placements work load, dataxu makes easier when I need to launch my programmatic media campaigns. Easy to set up and also easy to optimize. I'd say the way we build the customer audience could be better and easier to set up. Don't be afraid! The tool is great and you won't regret it! With dataxu we could have a Global tool supporting our programmatic media buying needs, providing an standard process across the regions. "Consistent performance and strong technical support"
Most importantly the performance of our campaigns since using dataxu has always been consistently strong. Also the support we get from the EU platform solutions team is always very prompt and useful. We transitioned from being on a managed service to being self-serve and the support & training throughout this period was very good. We had reguarly calls and face-to-face meetings with the dataxu team to ensure the transition was as smooth as possible. The platform isn't the most intuitive to teach to people that haven't used a DSP before. That being said the support, training and online learning centre can usually help solve any problems. Also the platform is in EST time whereas we are based in BST which means we have a slight delay in reporting which can be annoying when you want to verify spends/conversions. Gaining strong results from display/video campaigns which were previously struggling with alternative DSPs. This has allowed us to scale to test further countries and try alternative strategies. "User Friendly Self Serve Platform with Knowledgeable and Efficient Support Team"
We are currently using the self served product as an agency for one of our clients and find the platform very user friendly and on the most part intuitive. The new campaign cloning feature saves a lot of time when creating campaigns and the platform is very easy to navigate. The knowledge base contains information on all aspects of the platform if you have any issues and failing that the team at DataXu are incredibly supportive and efficient in helping to solve any problems on our side. 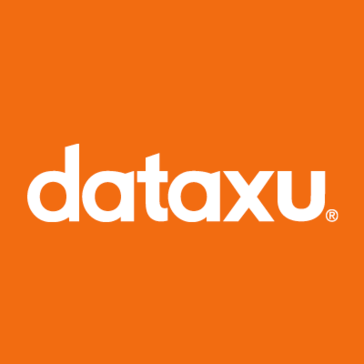 We have a great relationship with DataXu and would definitely recommend their services. The reporting features currently all work in EST time which can be difficult for us who work in the UK when optimising and reporting on yesterdays platform but on the whole the reports side of the platform offers everything else that I would want of it. If there was one other wish it would be to have the ability to clone a flight within a campaign in order to save some time when wanting to isolate certain creatives into a new flight mid month. Lastly I think it could be intuitive to be able to 'include' and 'exclude' devices etc within the campaign structure rather than just adding or removing them from their corresponding settings pages. DataXu allows us to efficiently set up new campaigns each month and save a lot of time in the process in comparison to other platforms we have used in the past. The platform is also much more intuitive to use and navigate than some others. In particular we have found that the re-targeting campaign algorithms have allowed us to scale re-targeting campaigns whilst also maintaining strong performance. "Excellent DSP - Constantly Evolving, Wonderful Support Team"
The best feature of the platform is its flexibility. We utilize the platform to run campaigns across client verticals from entertainment, to nonprofit, to restaurants with great success. In addition, the client service team is excellent, and they're always willing to assist us in any way possible. It's not awful, but the UI is clunky, particularly when it comes to creating custom audiences. That said, they're rolling out the new version in Beta, and it appears to be a much more intuitive UI. The product is excellent and constantly evolving. If you're looking for a powerful DSP with an excellent support team and engineers who want your feedback, it's your tool. We're able to remove the middle-man from programmatic display campaigns and run them ourselves at a higher margin. More importantly, we can utilize our client and industry knowledge to leverage greater campaign results. Having complete control over running campaigns through dataxu's easy to use TouchPoint DSP, but also having the support from the dataxu team whenever I need assistance or guidance. TouchPoint is easy to use and meets our requirements. We use it for Display, Video, Mobile and Cross-Device and it has helpful features such as bulk editing, frequency capping, contextual targeting and mobile tracking that help us deliver ROI for our clients. A few years ago, dataxu's product looked slightly outdated, although the functionality was very powerful. Programmatic Guaranteed is now available and premium DOOH and Mobile and Video. The TouchPoint DSP UI has come a very long way from the original UI so it’s reassuring to know their team is willing and able to fix and improve issues that arise. The new look and feel of Audience Manager is fantastic and allows syndication of audiences into even Walled Gardens. There are some bigger platforms out there, but those platforms don't care about customers that aren't Enterprise level. dataxu has fantastic customer support and their product caters to mid-market. They have fraud protection and brand safety controls built in, and other tactical features such as frequency capping,budget pacing and rich media optimization. It's truly a one-stop shop. Being able to reach our audience and track conversions through programmatic at a lower rate. With dataxu we can be more precise and efficient with our advertising budget and drive better results for our clients-- more ROI. "All around good product and team." Quick ability to build and launch campaigns, enjoy and rely on the ability to get through creative approvals and serve same day. Ability to execute lottery, alcohol, and pharmaceutical campaigns. No real time spend, impressions, or CPM in the platform. Would love to see that at the campaign dashboard level and some visibility in the flight editing screen. Would love to see tracking of impression delivery and spend in real-time. We use DataXu for audience extension, using first party Spanish Language user data in programmatic deals. We are able to execute deals with lottery clients, in particular, and have been able to build a great partnership in part because of being to efficiently launch/execute campaigns. "DataXu is an up and coming platform with an OK UI but incredible support"
By far, the support from the AMs, and specialists has been the best thing about DataXu. The reporting is fairly robust, and where it's lacking, they're listening genuinely about our needs. The UI is weird and the workflow seems clunky. It takes some time to figure out your way around it. This, however will continue to get better and better. Also, the help documentation is out of date, confusing, and not very helpful. Thankfully support has been great. Great for specific types of inventory not available through other DSPs. Hang on through the learning curve of campaign setup and management, and it'll get easier. While some of the documentation isn't very helpful, their support team is great and very responsive. Inventory availability for CTV, Native, PMPs, etc. Benefits have included running some complicated placements... DCM wrapped in DV and wrapped again in DV for our own reporting. This was an interesting problem that was able to be implemented through working closely with the support team. We've also seen the least amount of discrepancy with Sizmek through DX after DX support reached out directly to the Sizmek team. In another instance, the support team reached out directly to DV to help us solve a viewability implementation issue. I can't stress how important this level of support has been for us. "Data xu makes campaign management easy!" I like the amount of time that it saves me each day, from setting up campaigns to pulling reports. Originally, it was not this easy, but after all of the adjustments/enhancements that have been made with the new interface,I have come to like it a lot. I dislike that there is not a way to bulk edit creatives, such as landing pages/names ect. When you have a lot of creative, this can take a lot of time. It has been a great way to run conversion based campaigns, we have seen great results. Especially with the ability to set up a conversion pixel to pass back revenue. DataXu has a smart AI algorithm that consistently finds audiences that can compete with audience targeting. Easy to setup campaigns that optimize towards campaign objectives. DataXu has auto sign out after inactivity, which is a minor nuisance. Bulk upload video tags with VAST tags doesn't work yet, but I've been told a fix is coming. There's a lot of detail on each page for setup. Pay close attention when you first start out as there's many ways to customize your campaign. ROI, lowering CPA, and ease of use managing budgets with their DSP. "dataxu is a great partner." dataxu is an extremely reliable partner. They have a dedicated person assigned to service each account who is always available to answer any questions that may pop up. They are consistently looking at how to better their product and genuinely want to receive feedback from their users. All-in-all, they are a great partner who who your been interest in mind. dataxu's geofence capabilities are subpar and even though their UI was recently revamped, there are still little things that can make it difficult to use. Our agency uses dataxu as our in-house DSP for display, video and audio solutions. "Great all in one platform for programmatic display of all kinds." I like being able to place video, banners and native placements all through one platform, to be run across all devices. I dislike the reporting. The look back window is too short and the exports are inconsistent. It takes time and learning to utilize Data Xu to it's full potential. Don 't be afraid to experiment with different algorithms for delivery and to try new audiences. We are discovering audiences through customer intelligence and realized that applying audiences makes for a more efficient campaign spend. Touchpoint DSP is very intuitive and has made it more efficient and easy when setting up campaigns. Also, being able to pull reports through ClearSight at the click of a button is super helpful when clients request reporting updates. The ClearSight reporting technology is a great tool! I occasionally run into just a few minor issues while using. For example, sometimes when pulling bigger reports, it can take a bit of time to receive them. I do find that the support team is very helpful when you reach out and need assistance however, so it's not a big deal. If you ever run into any issues, you can always reach out to them. Be patient when learning how to navigate and use TouchPoint's UI. You will quickly begin to understand the ins and outs the more time you spend, and once you are ramped up, TouchPoint's DSP will save you an incredible amount of time and money. Dataxu makes it possible for us to easily customize and target certain audiences through cross-device technology. Having a trusted partner like dataxu allows us to maximize ROI for our clients. DataXu is inexpensive and customable. Our account director is very helpful and works hard to assist us. The UI is very buggy and often runs into glitches that severely slow the workflow. Overall, it is not very efficient with having to toggle between three different setups (mobile, video and display) to run one campaign. The three different setups hinder optimizations. Reporting charts that they generate are often inaccurate and create more questions than insights. Pulling reports is a nightmare, especially on Mondays. You can wait up to four hours for one raw report and often it will fail and you have to start over. Sometimes buttons won't click, this is one of the glitches. At one point we could not run video campaigns for well over a month because of technical issues on their part. They are not integrated with all ad servers, causing multiple additional headaches. We are currently launching a large PMP initiative and they are not integrated with many exchanges. The PMPs can still be launched, but not without much back and forth between different parties. I would recommend DataXu for businesses with a large enough team to take the time DX requires. We have been able to successfully grow business for our clients via DataXu. We have run extremely successful campaigns, it's just the operational inefficiencies that create headaches. Thanks for your very specific feedback – we love it. We have good news for you: our new campaign manager and omni-channel campaign features should solve your setup woes. You now can have everything in one campaign, share targeting and audiences across channels, and do it in one streamlined setup. Additionally, pulling reports should be easier with the new TouchPoint reporting tool that doesn’t suffer from long waits. With your ad server and PMP issues, we are actively working on improvements to those areas in the first half of 2018 as well. We really appreciate you sharing your thoughts with us so we can continue to make our platform easier and more valuable for you. "DataXu is an excellent addition to our arsenal as a digital agency"
DataXu's execution of CTV with data layering has been awesome. I have not seen such granular capabilities elsewhere. I wish DataXu was integrated with Google Analytics or could ingest that data more seemlessly without a LiveRamp but I understand Google does not always play nice. The UI is very user friendly and the team over there works very hard to create solutions for our integration needs with CM. We are running an alcohol client's campaigns very smoothly on DataXu without having to jump through all of Google's regulatory hoops. "Numerous Possibilities at Your Fingertips "
The wide variety of options DataXu has is unbelievable. CTV is the future and that alone hold tremendous value especially paired with OneView. At times it is hard to navigate due to the wide arrange of services offered, but they offer training courses and reps are always quick to respond to questions or concerns. DataXu helps us reach larger targeted audiences for our clients. The data and audience segments really help narrow our reach and are great for awareness purposes. We have worked in a variety of platforms, and find that DataXu has the best performance with great efficiency. We find that the CTRs and conversions on campaigns posted on DataXu outperform that of other platforms. Currently, there is no fixed price model, although DX is actively working with us to fix this. We'd also like to see more options as far as audio and contextual options, and the ability to change an objective mid flight. We were looking for a trusted partner, and have found one with dataxu. As mentioned above, we've seen improved performance, which is obviously our number one concern. "Strong independant DSP, especially in Video and CTV"
Technology roadmap is strongly aligned with machine learning and CTV, and these are important advancements that will influence digital marketing. Service, support, and partnership have been top notch since our relationship began over a year ago. As an independent tech, this provides many advantages, but also means that some features are limited to DataXu's platform and can't apply to the walled gardens of Google, Adobe, Amazon, etc. Getting cheaper inventory through the DSP helps us achieve our client's goals of needed a lower CPM. With DataXu we are able to turn a lot of nubs and handles, in order to continuously improve performance and delivery for our clients. The brand safety features, networks available and user targeting options make the platform one-of-a-kind. The bigger the market, the bigger the dataset and options, which mens that smaller markets kan be left out with small audience size when combined with demographic features. Not for small businesses / spends. Brand awareness, securing brand safety and media buying relations. "Easy to use - Professional team"
All of the available PMP deals you are able to purchase along, the ease of the navigation of the platform, and the wonderful customer success team! I honestly love everything about their platform. They offer all sort of programmatic platforms you can think of for your clients to execute. There is hands on training and when you find yourself in a pickle, the customer success team is there to help. Account managers are really helpful and solution oriented. Reach is powerful and post view performed really good . DataXu retargets our external advertisements. It helps us keep up with other websites that we can't place codes through. We focus on the analytics that DataXu tracks for our website clicks. It helps us retarget audiences that have visited our page and are on another website that will allow our pop-up ad to appear on. I don't have any dislikes to report at the time. Maybe as I divulge more into it they might pop up but not now. They make reporting and targeting easier for the company. We're seeing what works on the web site with content and development with heat maps that DataXu retargets people to. It's nice to have DataXu retarget audiences to our landing pages and seeing if it leads to driven sales clicks. "Great partner for programmatic advertising"
The high level of professionalism and support provided by the company. Any time I need help with campaign setup, optimization, or anything at all the daxu staff is quick to jump in with ideas and guidance. I use dataxu for all of the programmatic I buy. I appreciate the vast targetings and products offered. "Wonderful technology worst customer service I've had with any DSP I've used." The technology and ease of use of the platform. The service. Our account manager often required 2 days to communicate and only ever by email. I often asked if there was a number I could call him or over Skype or something and there was nothing. The email answers often led to further confusion. We are mainly helping our mobile clients transition from network buys to programmatic. We have realized that the technology is really good. I enjoyed learning about data-driven marketing trends because that is where the future of marketing is headed. Everything we do at my company needs to be supported by data and every campaign must be able to be measured so it was great to learn new applications of data. This may be because I dont do much TV, but I felt there was too much content on TV as it didnt apply as much to me. "Old fashion style. Powerfull insights tool but hard to deal with them"
I cant say Dataxu succeded on really anything compared to other dsp. The best was definetly the Support. The reporting tool is cool qith all the data bases but at the end is hard to use for a marketer like me. Dashboard, insghts, reporting tool. Hard to learn to use it at first sight. reporting tool was limited by some metrics. Lookback window of site report too short. Improve dashboar. Be more style and modern. Appearance is unfortunately importat. The reporting tool is cool with all queries and so on, but at the end is annoying. "DataXu from an Optimization Specialist's Standpoint"
The reports tab in each campaign is nice. It provides three graphs on the main page that I use as a quick benchmark to look at campaign performance based on spend, impressions, and bidding CPM. You can then go in further to the 'insights' tab which gives you much more information, including what factors are hindering campaign performance. The delivery diagnostics report is extremely helpful in this regard. Reporting is very robust and is probably DataXu's biggest selling point for me. For someone who has to actively manage these campaigns, the tools provided by DataXu allow me to quickly gauge what changes I need to make to improve performance and delivery. My biggest issue with DataXu is the lack of a change history. I have to use a separate system outside of DataXu to keep track of all of my optimization notes. Since I am fully managing and optimizing close to 1,000 orders, this makes my job slightly more tedious and time consuming than it needs to be. The also isn't a graphical representation of the campaign performance on the main page for each campaign. You have to go into the Reports tab on the campaign level to see this. Customer Service is not the best for smaller publishers that are self-managing campaigns. I would look for a provider that has a more intuitive user interface and a change history or editable notes field for optimization tracking. We use DataXu to schedule programmatic display advertising. The platform has different bidding algorithms based on your goal (ie. maximize clicks, distribution, retargeting). Campaign set up is somewhat tedious and not as intuitive as it could be. But overall, DataXu has been a reliable platform for serving ads in a real-time bidding environment that allows us to have a lot of control over our campaigns. They have a wide range of offline 3rd party data that informs audience in detail. They are very good at re-targeting the audience they is part of the core target. They are also good at syncing some target from offline to online base on their purchase behavior. Credit card information is also very valuable but it is not always the case. 3rd data is great for CPG products since it provide the scale and reach. There are issues when matching offline data to online data, especially when it comes to niche target like Hispanics. Sometime offline data might not match online data. For example, someone who purchase Hispanic food in grocery store or has a Hispanic last name might not be Hispanic. In these circumstance, it is very hard to use offline data to accurately identify the target. If you are looking to re-targeting and increase buy rate for CPG products, DataXu is recommended. The new dashboard is very user friendly and I'm able to navigate from campaigns and flights quickly. There are times when uploading a whitelist has been difficult. They've really come a long ways in making the dashboard easy to use and navigate. We have seen great results from programmatic video through DataXu. It helps us serve ads at a very inexpensive rate compared to other platforms. "Worked at Starcom Media agency and used DataXu for our media campaign"
DataXu was an easy media partner to work with. Their product is very straightforward and understandable even with such advanced media and DSP technology. DataXu also had great stats in terms of audience reach and ad viewability. DataXu didn't seem to be very customizable to the product our client wanted to advertise for. If you're looking for a very niche media space to be in, DataXu probably isn't the best partner for very specific content alignment. If you're looking for a media partner with advanced DSP technology, DataXu is a great partner to work with for your media campaign. Our team thought that DataXu was the perfect partner for a product launch campaign because we needed our media to have high volume reach against our target audience. DataXu had great ad performance and advanced DSP technology that was appealing to our client. They were a great reach-driver for our media campaign, which was very important to our client. Our team thought that DataXu was the perfect partner for a product launch campaign because we needed our media to have high volume reach against our target audience. I didn't find the end session (working sessions) informative. I feel that breaks are too long at most conferences. I rather the time be shorter with less breaktime. Manage service programmatic buying. I've realized in programmatic buying a lot of the technology is the same but the attention to campaigns and client service really helps improve performance. "A growing use for DataXu"
Highly customizable platform that allows for us to scale up as we need with capabilities. Limited in features like daily spend caps. "Great targeting and optimization "
The targeting options are broad with clear descriptions. The automatic optimizations along with the cruise control suggestions that are optional to enact are great. The creative setup can be tedious and previewing the creatives is difficult at best. The reporting portal has lots of options, but the premade reports are rarely useful so I build my own instead. Strong offering for a dsp, not as intuitive as other platforms, so will need some experience prior to using. Delivering display campaigns that deliver a high roi for our clients. DataXu works well with lots of vendors, and is useful when other DSPs sometimes will not be compatible. The platform is extremely unreliable. If you have three simple tasks to complete, you will find at least five glitches or missing buttons along the way. DataXu is especially useful for campaigns where pacing is important. DataXu provides the clients with the most advanced algorithmically based audience buying platform worldwide. The audience insights received are far and above the best in the industry. You can manage an entire digital campaign across web, mobile, social and video under one interface. Nothing! This has to be the easiest system to use ever and allows you much flexibility. My recommendation is to try it; you'll love it. We are providing our clients with information about their clients that they have never been able to have seen before. They are quite happy with campaign results and utilize this data to help analyze their marketing efforts to a higher level and be more efficient with their marketing budgets. "Overall, does what I need, but expensive"
- Audience building and relationships across different healthcare service lines have been huge for the clients I work with! "Programmatic is a great way to reach your audience"
Good targeting, we get direct access to account teams to always keep our conversation a running dialogue. Any changes we ask for are implemented, and DX brings their expertise to the table as well as many good insights to help optimize our campaigns. We have not always had the transparency we have asked for, but DataXu is working with us on bringing more transparency into their reporting, as well as being very upfront about what we run with them and how they run it. It helps that they trust us to bring them our issues, and then we move forward. Always nice to have a good relationship where we can talk about anything. They will work with you however you need them to, seriously. They can give you what you need, you just have to tell them all your problems and what you are trying to solve. We are solving a targeted display and video problem. They have inventory, they have targeting information, and they can get us inventory that will convert users for us. We get shopping actions and our clients are happy, what more is there to say? "Great platform that makes my day to day easy!" It is very user friendly and the people who work there are very helpful and take all suggestions seriously. Currently bulk editing is a little difficult but they are always making improvements! Currently not able to launch my programmatic OOH campaigns on the platform but I believe this is coming soon! Benefit are having all of my campaigns across platforms in one place and able to tie them together seamlessly. "Campaign Manager Utilizing DataXu for Day-to-Day Optimizations"
The reporting features are extremely helpful. There are several charts you can pull in for easy optimizations in the intelligence tab of the reporting section. These tell you things like, are you bidding high enough, are there enough users in your target range in order to spend your budget. It makes optimizations a lot easier to make. I dislike the overall look and feel of DataXu. I've worked in other DSPs and DataXu's interface is not intuitive. I find myself still having to scroll around for a while before I find what I'm looking for, whether it be a tab or a report or just a simple setting. Additionally it would be nicer if there were more of a hierarchy to the campaigns. For example a campaign and then maybe a group dedicated to a certain type of targeting (audience for example) and then under that all different types of audience targeting so that I can either see things at a high level or at a very niche level. DataXu only allows a niche level, seeing all your targets at once. Our clients are soley interested in ROI and making sure users are converting on their site. Through DataXu we've been able to track those conversions and demonstrate campaign success to our clients. "Good performance but UI/Reporting a bit of a mess"
The optimisations that the platform recommends are good and usually improve performance. The ability to make multiple changes to Flights in one go is also very useful for traders. The platform and reporting are on 2 different platforms which makes no sense. I also think the UI is rather dated and could be more user friendly. Currently using DataXu for our CPA campaigns across our TV campaign. Given we are Prospecting only, using DataXu gives us more scale and a much cheaper CPM. They brought us good traffic for our brand new campaign. They improved their efficiency thanks to a daily look at dats and agressivr buying. "Frustrating a lot of the time." Conversations with company reps when there are issues at hand. The amount of time it takes to solve an internal issue is longer than it should be. Campaign optimization. DataXu proves to be a strong display tactic in the way of serving impressions. * We monitor all dataxu reviews to prevent fraudulent reviews and keep review quality high. We do not post reviews by company employees or direct competitors. Validated reviews require the user to submit a screenshot of the product containing their user ID, in order to verify a user is an actual user of the product. Hi there! Are you looking to implement a solution like dataxu?